Did you wake up today wondering why the planets and moons are round? For some reason, I wondered this while working out on the elliptical machine at the health club this AM. OK. So, you didn’t wake up and wonder why all the planets and moons in billions of galaxies are round. But I’m going to tell you anyway. You may have wondered why are planets round. I mean why aren’t the cubes or pyramids? 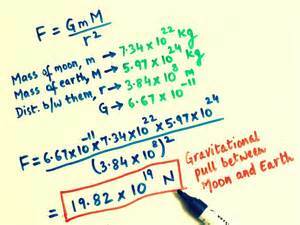 The answers can be found in how gravity works and the formation of our solar system. Our solar system was formed like many other star systems from a nebula. A nebula is a concentrated area of gases and cosmic dust in what is the called the ISM or Interstellar Medium. These gases and dust are spread through space and when enough of it gathers it gains suitable gravity to establish a gravitational field. This clumping creates nebulas and started the process for star formation. The next step in a star’s birth would be the rotation of the nebula. As matter is drawn in and organized by the nebulas increasing gravitational field it start to gain angular momentum and start to rotate. This is just like how an ice skater spins faster when they pull in their arms. As the matter is pulled into the nebula’s center of mass, it spins faster making it easier for more matter to be pulled in. This process will happen until under the increasing gravity until the gases go under nuclear fusion and a star is born. After the birth of a star there are now two sources of gravity whose tides fight over the remaining gases and dust. 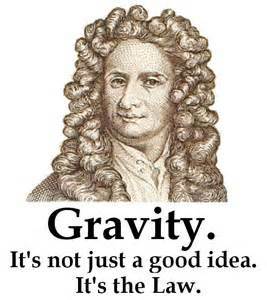 The first gravitational field is that of the nebula and the other is the gravity of the new star. The tidal forces of these two fields bunch the remaining gases and dust together. Heavier element will clump together faster to make the beginnings of rocky planets. It is important to note that gas giants are planets that were close to becoming stars but did not reach critical mass for fusion. In the end, even as these planets are forming they still carry over the angular momentum and spin as well drawing more matter. This process works like a carpenter’s lath. The new gravitational field pulls matter towards the center of the planet’s mass. The rotation helps to round out the rough edges. As time passes and the planet cools the planet settles into its final shape depending on its own rotation and the gravitic influence of its star. This is what makes a planet round.